Jared Paynter Obituary: Jared Paynter’s Obituary by the Courier Post. Of Laurel Springs, NJ, age 29, suddenly on March 7, 2014. Loving father to his son Seth Andrew Parviskhan-Paynter. Devoted boyfriend to Cheryl Parviskhan. Beloved son of Glen and Nancy (nee Behan) Paynter. Dear brother of Leigh Ann Paynter and proud grandson of Howard M. Paynter Sr. Jared is survived by aunts and uncles; Terry and Lois Paynter, Joseph and Wanda Behan, Dave and Alice Allen, John Behan and Dave Reuter, Frank and Ellen Musmeci, James and Theresa Behan, Larry Behan and also numerous cousins. Jared graduated from Sterling HS in 2003. He received an A.S. Degree from Camden County College in 2006. 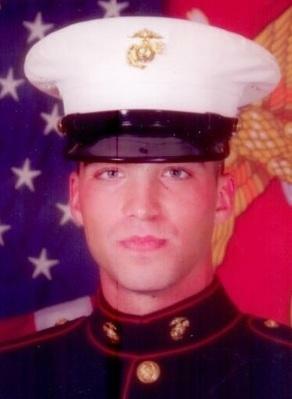 Jared served in the U.S. Marine Corps from 2006 to 2010 reaching the rank of Corporal. He served with the 2/8 Echo Co. as a machine gunner with tours of duty in Iraq and Afghanistan. He was awarded many medals and commendations for his service. Most recently he worked as a sales associate for Lowe's of Voorhees. Jared was loved by his many friends and Marine "Buds" for his wit and humor. He was also recognized for his artistic ability and his love of dogs.